After a spell of aggressive discount war, 2015 turned out to be a "year of consolidation". M&As took place one after another - Ctrip acquired Qunar and eLong, HNA Tourism Group invested in Tuniu, Wanda dipped into LY.com, Jin Jiang took over Plateno Group, and BTG participated in the privatization of Homeinns. The industry's big players were vying to outdo each other in the one-upmanship to take the helm of the industry. Much like Chinese travelers traveling everywhere in the world, China's travel companies are also embarking on globalization. Anbang’s aggressive bid for Starwood really shocked the international business community. HNA Group is grabbing every opportunity to invest in almost all vertical sectors of the travel ecosystem. Ctrip has also made strategic investments in the UK and India. Jin Jiang’s purchase of Accor shares has bared its ambition in the global arena. 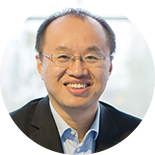 Fosun and Wanda are poised for big moves. It is clear that the global travel market is swirling with this "China whirlwind". This is the time to join more than 1,200 top executives from the global tourism industry to exchange views on the hot topics that impact the travel space, and ponder how to seize the opportunities presented by this changing era. Enrol now for the TravelDaily Conference, to be held on Aug. 31 to Sep.1, 2016, and explore with industry counterparts how to "Embrace the New Era". Mr. James Liang is the co-founder, chairman of the board and chief executive officer of Ctrip.com International, Ltd., the largest online travel company in China with approximately half of China’s online travel market. 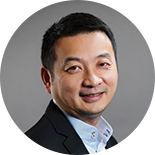 Mr. James Liang co-founded Ctrip in 1999 with three partners. 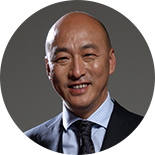 Mr. James Liang has served as a member of the board of directors since the inception of Ctrip and served as the chairman of the board since August 2003. Mr. James Liang also served as chief executive officer from 2000 to January 2006 and resumed the role of chief executive officer since March 2013. Prior to Ctrip, Mr. James Liang held a number of technical and managerial positions with Oracle Corporation from 1991 to 1999 in the United States and China, including the head of the ERP consulting division of Oracle China from 1997 to 1999. 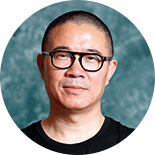 Mr. James Liang is also a research professor in Economics at Peking University. Mr. James Liang received a PhD in Economics from Stanford University in 2011 and received his master’s and bachelor’s degrees from Georgia Institute of Technology. Mr. James Liang also attended undergraduate program of Fudan University. Mr. Qi Ji is one of the most successful entrepreneurs in China, who co-founded Ctrip.com, HomeInns & Hotels and founded HUAZHU Hotels Group. All the three companies have been successfully listed on NASDAQ and the market value reaches over US$ 1 billion for each one. Mr. Qi Ji's successful story is the legend in the industry. Under Mr. Qi Ji's strong leadership, all the 50,000 employees commit themselves to keep satisfying travelers and corporate clients with impressive and cost-effective travel experiences, and fast-growing multi-brand hotel group in China with more than 2,700 hotels across over 350 cities. Aiming to become one of the world’s leading hotel operators, HUAZHU formed an extensive and long-term alliance with Accor in 2014, offering the customers of both loyalty programs (altogether 75 million members) the opportunity to access a network of over 6,000 hotels globally. Mr. Qi Ji was given France highest award for his outstanding contribution in 2016. Mr. Any Wu is the CEO and co-founder of Tongcheng Tourism. Mr. Any Wu has more than 10 years working and entrepreneurial experience in China’s travel e-commerce industry. Under the leadership of Mr. Any Wu, Tongcheng Tourism has become China's leading online leisure travel company, and one of the top 3 online travel groups in China, which was ranked eighth on the annual top 20 China tourism groups list in 2015. Tongcheng Tourism raised RMB 6 billion investment from Wanda, CITIC Capital, etc. on July 2015. In October 2006, Mr. Alex Yan, together with his business partner Mr. Dunde Yu, founded the Tuniu Corporation and Alex being COO since that time. Tuniu Corporation is the first one enterprise focusing on online tourism product booking service, and successfully listed on NASDAQ as “TOUR” on May 9, 2014. The company provide high quality and convenient online booking service. The company’s mission is to help consumers “Make Travel Easier”. Mr. Alex Yan graduated from Finance Department of Southeast University in 2004. Mr. Yan served as an analyst of iTech Holdings Limited in 2004, and he was one of the founding members and Chief Operating Officer of ci123.com, from 2005 to 2006, where he was responsible for daily operations and helped ci123.com become one of China's leading childcare website. Mr. Bin Feng has 30 years of experience in tourism since 1984. Under Mr. Bin Feng's strong leadership, Utour was successfully listed in Shenzhen Stock Exchange as the first privately-owned tour operator in A stock market. 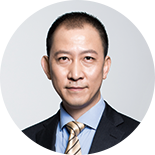 Mr. Bin Feng also focuses on new direction of tourism industry, and is actively expanding the business into sports industry, Internet industry, currency exchange, capital markets and other areas. Mr. Paul McCrory leads a team at Facebook responsible for helping advertisers and agencies maximize their use of Facebook as a core marketing platform. 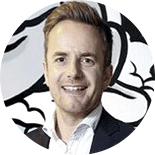 Mr. Paul McCrory has a focus on enabling clients to scale performance marketing and achieve brand marketing objectives by partnering with Facebook. His work involves providing customers with tools that enable them to measure and monitor their use of Facebook to achieve business objectives. Prior to joining Facebook, Mr. Paul McCrory led Experian’s Digital division in Australia. His previous experience has provided him with key skills in data, analytics and technology across the Financial Services, Travel and Retail industries. Ms. Kathy Xu has twenty years of experience in venture capital and growth capital investments in China. Ms. Kathy Xu has led several successful investments in China including JD.com, Tudou.com, Dianping.com, Ganji.com, Netease.com, Yifeng Pharmacy Chain, Cosmo Lady Underwear Chain, etc. Four of the entrepreneurs Ms. Kathy Xu backed have become China's "Top 100 Richest Men" ranked by Forbes. Ms. Kathy Xu founded Capital Today in 2005 with a vision to help Chinese entrepreneurs build No.1 brands in China and a focus in the consumer, retail and Internet sectors. Ms. Kathy Xu was selected as one of the “China Top Venture Capitalists” by Forbes from 2008 to 2014, and as one of the 25 most influential people in Asia ("2004 Stars of Asia") by Business Week. Prior to founding Capital Today in 2005, Ms. Kathy Xu was a partner and China head at Baring Private Equity Partners Asia. Prior to that, Ms. Kathy Xu was an Investment Manager at Peregrine Direct Investments and an accountant at Price Waterhouse. 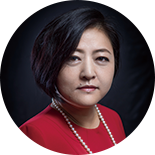 Ms. Kathy Xu currently serves as a governor of the China Venture Capital and Private Equity Association. Ms. Kathy Xu is an honorary trustee of Nanjing University. Ms. Kathy Xu received a bachelor’s degree from Nanjing University. 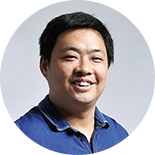 Mr. Justin Luo is the co-founder and CEO of Tujia, which is known as China’s leading online marketplace for vacation rentals. Prior to co-founding Tujia, Mr. Justin Luo was the co-president of CRIC and general manager of Sina Leju, the largest online portal of real estate media and information in China. Sina Leju successfully listed on the NASDAQ in 2009. Prior to Leju, Mr. Justin Luo also served on senior management roles for several well-known companies, including Cisco, Oracle and Avaya. As an integral part of the TravelDaily Conference, China Travel Innovation Challenge will be held in the afternoon of the second day, with the aim to select and award the most innovative products in travel industry. The TravelDaily Conference is THE annual travel industry conference in China. Interesting discussion and good networking opportunities. We invited a number of key online customers to last year’s event. It was a great opportunity for them to get crucial insight into the China market as well as learn about the various strategic opportunities that the market presents. Always getting new ideas and finding new cooperation opportunities during the meetings with friends from all around the country and world. One of the key events that all travel and hospitality professionals who are interested in the China market should attend. Up-to-date information and highly relevant topics were discussed. One of the best conferences in the region - speakers are well represented and contents are rich and practical. A good event for industry players to gain updated information on current trends and new marketing tools for the hospitality market. (1) Listening to speakers/panelists allowed us to gain useful insights into the highly dynamic Chinese hospitality market. (2) Collected useful leads through networking. The TravelDaily Conference which is hosted by ChinaTravelNews and TravelDaily, China's leading online publisher and event organizer, attracts the most influential leaders of the travel industry in China and all over the world each year to come together and share their insights of the industry in a search for business opportunities. Copyright © 2016 TravelDaily Inc.